Frederick, M.D. – Visit Frederick is excited to announce the launch of a brand new website! 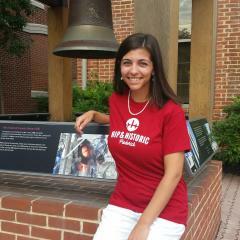 After months of preparation, the site is live and available to visitors at www.visitfrederick.org. Simpleview, a company who specializes in destination marketing organization websites, has developed the new site after a deep analysis of Visit Frederick’s previous site. Simpleview has worked with destination marketing organizations for over 15 years to build websites that cater to the visitor. Their extensive knowledge of the tourism industry has been a huge asset throughout the process and will continue to be beneficial moving forward. Visit Frederick’s previous website was built primarily to be viewed on a desktop computer and was supplemented by a bare bones, not responsive mobile site. However, over the last few years, an increasing number of visitors to the website were viewing it from a mobile device. In 2016, the number of visits to the website on a mobile device surpassed the number of visits to the website on a desktop computer. This change only reaffirmed the fact that Visit Frederick needed a responsive website for mobile users, and one that was just as functional as the desktop site. The new website gives visitors complete access to all of the great information available on the site from any type of device. If a visitor has already arrived in Frederick, they will be able to see what restaurants, lodging, and attractions are nearby. 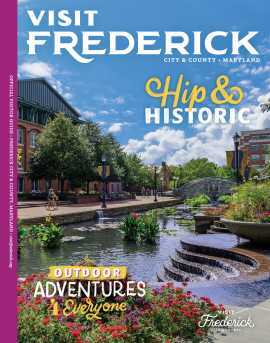 The new and improved visitfrederick.org will continue to highlight pages and topics that have performed well in the past and will offer a fresh take on some of the areas of the site that were receiving a lower amount of traffic. Images of Frederick County often speak louder than words and the new website takes full advantage of the region’s incredible beauty.